so are you for yourself. Walking is a verb that describes the body’s movement traversing a specific surface. 1  Opening quote: Michel de Montaigne, On Solitude (London: Penguin Books, 2009), p. 19. It is a link between two points, a path related to a beginning and an end. Walking is also a practical and theoretical methodology that has been explored by various contemporary artists, architects and art movements, especially since the beginning of the twentieth century. If we ponder over the art of Richard Long 2  Dieter Roelstraete, Richard Long: A Line Made by Walking (London: Afterall Publishing, 2010). , whose work is often referred to as an immediate response to the places he walked in, or the political performances of Francis Alÿs 3  Francis Alÿs, ‘The Collector’ in Francis Alÿs: A Story of Deception, ed. by Mark Godfrey, Klaus Biesenbach and Kerryn Greenberg (London: Tate Enterprises Ltd, 2010), p. 51. embodied in his urban walks, or even the projects of Stalker 4  To learn more about the Italian collective Stalker, visit: http://www.osservatorionomade.net/ (Accessed December 9, 2015) or read the Amateur Cities interview ‘Walking across Actual Territories‘ with Stalker founder Lorenzo Romito. 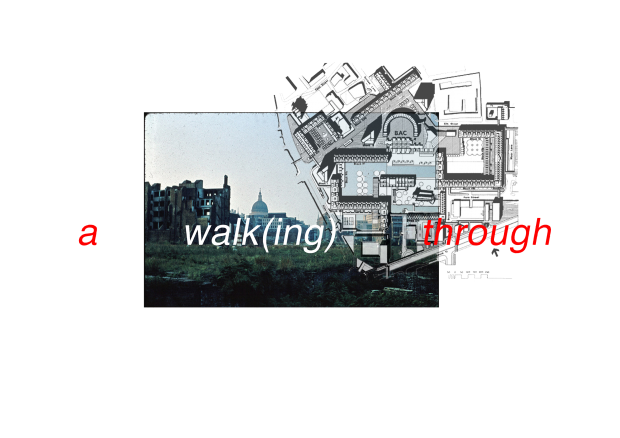 – an Italian group of architects who have been expanding the notion of walking as a socially engaged approach to neglected urban areas in European cities, we can perceive that these experimental works produce individual knowledge and share a common purpose: to trace something, to focus on a certain problem and to highlight hidden structures that coexist in the built environment and in the collective urban imagination. This essay takes this common purpose inherent to the act of walking as an opportunity to unravel a ‘walk story’ 5  ‘Walk story’ is a concept reinterpreted by Michel de Certeau´s notion of ‘spatial stories’, which served as a basis to write this essay. Certeau suggests that stories are ‘spatial trajectories’ that ‘serve as a means of transportation, as metaphorai.’ (Michel de Certeau, The Practice of Everyday Life, (London: University of California Press, 1988), p.91). I take these notions to argue that the act of walking is a spatial practice, that it is an on-going construction of a specific story., which simultaneously intends to look at and to correlate my personal walks with selected walking practices performed by contemporary artists and architects, in order to explain that walking can be re-used as a device to see, to discover, and to claim existing social behaviors in the built environment. Time in the Barbican – collage (overlap between an old photo from the site devastated by World War II bombings awaiting construction and the 1960 Barbican´s design scheme). Assuming the act of walking as an allegorical and potential narrative, the following walk story is unfolded in a three-act structure. The first act introduces the central elements of the story – its specific time, space and characters. The second act develops the action of the story, questioning a problem. And the third act, ponders over some kind of resolution. This walk story starts with a post-war modernist building – Barbican Estate, a mixed residential complex in London, and one solitary ‘other’ – me. The unexpected bond created between these two ‘characters’ grew out of my lunchtime walks towards the Barbican’s labyrinthine public place: a solitary break from my working hours as an architect in London, focused on engaging with the Barbican’s public space of mixed compositions formed by passages, pavements, bridges, gardens, artificial lakes and plazas located at different levels. The Barbican is a modernist estate developed and designed during the 1960s by Chamberlin, Powell and Bon Architects as part of a utopian Brutalist vision for London. Its main goal was to transform an area devastated by World War II bombings into a high-density mixed residential complex. The Barbican’s design concept intended to create a city within the city, a permeable megablock that would be simultaneously distant and close to its context: London. Distant in the sense that this megablock was generated as a modernist idea of a car-free public podium elevated above the streets, detaching the Barbican from London’s street-level dynamics. Close in the sense that the same podium aims to invite residents and visitors to walk through and traverse it in several ways. For more than a year, I explored w(a)(o)ndering 6  W(a)(o)nder: word created by the author, which means the coexistence of two actions – wander and wonder. as an ambivalent and solitary process of walking through the Barbican. W(a)(o)ndering is an open-minded way of walking that without preconceived ideas accepts not only chance but also the coexistence of both wondering and wandering as methodologies of walking which can coexist at a specific place and time. Wondering is understood as the stimulus that incited my walks through the Barbican, a personal curiosity and fascination ingrained in the place, and wandering as a way of walking inspired by the Situationists’ concept dérive that uses the Barbican as a free canvas to experiment with a fluid and flexible walk. Wandering is a perceptive concept that has been widely addressed in various theories originated at early twentieth century: from Walter Benjamin who explored the concept of the Flâneur drawn from the poetry of Charles Baudelaire, to the Surrealist deambulation, and the Situationist dérive introduced by Guy Débord: ‘The dérive entails playful-constructive behaviour and an awareness of psychogeographical effects; which completely distinguishes it from the classical notions of the journey and the stroll.’7  Guy Debord, ‘Théorie de la dérive’, in Theory of the Dérive and Other Situationist Writings on the City, ed. by Libero Andreotti and Xavier Cost (Barcelona: Museu d´Art Contemporani de Barcelona/Actar, 1996). While Débord experimented with the concept of dérive as an operation that accepts chance in order to analyse urban environments, relying on the observation and creation of psychogeographic maps, my own understanding of dérive focused on being open to comprehending the possibilities and discoveries of an uncommitted walk/observation through the surroundings offered by the site’s complexity. In doing so, it was possible for me to integrate the dérive as a mechanism that stimulated the way my body interacted with the Barbican’s public spaces, allowing a nuanced perception and a better understanding of its morphology and dynamics. As a consequence, feelings of refuge, protection, loneliness, anonymity and introspection started to emancipate and to recreate my own ‘walk story’ – one which was catalysed by solitude and that was focused on understanding and visualizing the hidden layers and narratives present in Barbican’s public spaces. The acceptance of w(a)(o)ndering as a walking practice triggered new methods of exploration. The constant repetition of my solitary walks made over the Barbican’s public place stimulated me to experiment with specific walking tools, such as: observing, gleaning and mapping. All three these walking tools are grounded in the ‘as found’ 8  ‘As found’ is related to a way of thinking that values everyday culture and interconnects architecture with the visual arts. 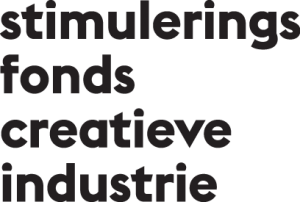 The ‘as found’ was an attitude represented by the Independent Group composed of theorists, architects and artists in the 1950s. To explore this subject please consult: Claude Lichtenstein and Thomas Schregenberger, As Found: The Discovery of the Ordinary (Zurich: Lars Müller Publishers, 2001). attitude explored by the Independent Group 9  The Independent Group were a radical group of young artists, writers and critics who met at the Institute of Contemporary Arts (ICA) in London in the 1950s, and challenged the dominant modernist culture dominant at that time, in order to make it more inclusive of popular culture., a movement that emerged from the exhibition ‘Parallel of Life and Art’ realized in 1953, which connected the architects Alison and Peter Smithson, artist Eduardo Paolozzi and photographer Nigel Henderson. These designers and artists started to develop a way of thinking that valued the culture of everyday life, interconnecting architecture with the visual arts: ‘As found has to do with attentiveness, with concern for that which exists, with passion for the task of making something from something.’ 10  Lichtenstein and Schregenberger, As Found, op.cit (note 8), p. 10. Observing is a walking tool, where the eye was trained to become attentive to the ordinary elements that coexist in the Barbican. As Michel de Certeau notices about wanderers in the city, ‘they are walkers, Wandersmänner, whose bodies follow the thick and thins of an urban “text” they write without being able to read it. These practitioners make use of spaces that cannot be seen; their knowledge of them is as blind as that of lovers in each other’s arms. (…) It is as though the practices organizing a bustling city were characterized by their blindness.’ 11  De Certeau, The Practice of Everyday Life cit. (note 5), p. 93. Following Certeau’s reflection about people’s blindness in the act of walking through a city, I recognized that to walk was also to use the body/eye as a device to learn how to observe the different elements that compose the Barbican’s public space. Many artists have been working with the use of the body as a tool of perception – Richard Long and Hamish Fulton in 1960s used the act of walking as a representational approach to places, landscapes, and territories. Although Long and Fulton deployed the act of walking as a tool for perceiving and drawing specific realities, in my own walks, observation is just the first step of a broader strategy that uses walking not only as a tool to perceive what-is-already-there, but also to prepare for unexpected discoveries. Gleaning is a walking tool that translates a process of discovery towards the selection of the ‘as found’ elements – an existing specificity encountered in the Barbican. During a year, throughout my walks and by observing ordinary details in the Barbican’s public space, I accumulated an archive of ‘as found’ photographs, inspired by Robert Smithson’s photo-essay titled ‘A Tour of the Monuments of Passaic, New Jersey’ 12  Robert Smithson´s work is available at: http://www.robertsmithson.com/photoworks/monument-passaic_300.htm [Accessed January 27, 2016]. from 1967, where he gleaned/photographed abandoned industrial relics such as pipes, sandboxes and other objects, found along the Passaic River in New Jersey, re-imagining them as monuments from a distant time. While Smithson attempted to both represent the ordinary and repressed traces of human work, and recognize them as a part of Passaic´s landscape, in my walk story, the development of the ‘as found’ archive around the Barbican had to wait a year for a meaningful discovery. 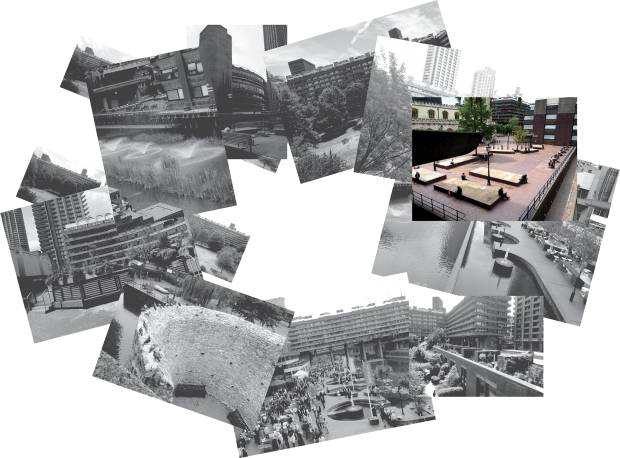 It was only after so many w(a)(o)nderings around the Barbican that a particular ‘as found’ photograph became a catalyst for a new way of perceiving the ordinary of the Barbican. As Found photograph in the process of Gleaning. 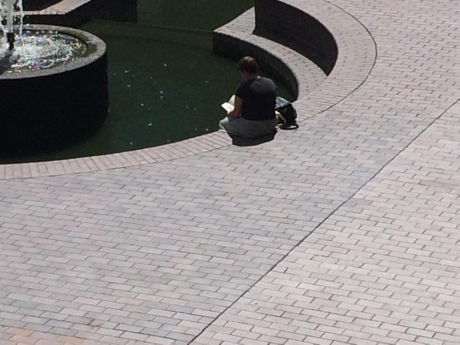 This picture reveals an existing social attitude in the Barbican´s public space. Mapping is a walking tool that represents and makes the ‘as found’ elements – the solitary characters – public, towards the processes of voyeurism and stalking. Walker Evans’s ‘Subway Portraits’ (1938) and Vito Acconci´s ‘Following Piece’ (1969) are two artistic projects which in two different periods of time explored the processes of voyeurism and stalking as tools, in an attempt to make inaccessible realities and everyday life routines visible. Evans’s ‘Subway Portraits’ explore an undercover method of taking photographs (voyeurism) to capture the subway passengers in New York City (between 1938 and 1941), and Acconci´s ‘Following Piece’ describes a performance in which, everyday for over a month, he was stalking a randomly chosen stranger through the streets of New York until he or she entered a private location. These two principles of voyeurism and stalking served as a base to define my own goal at the Barbican. Both of them are directly related to my own experimental practice aimed at capturing a social pattern through the very same principles directed towards all the solitary characters that intersected my paths around the Barbican. All the photos taken during this voyeuristic stalking survey were archived on an Instagram account 14  Instagram was the social network chosen to archive the ‘as found’ photos. The selection of this specific social media platform was mainly due to Instagram’s pragmatic technology that is open to the public in general, thus allowing the present research project to reach a wider audience. 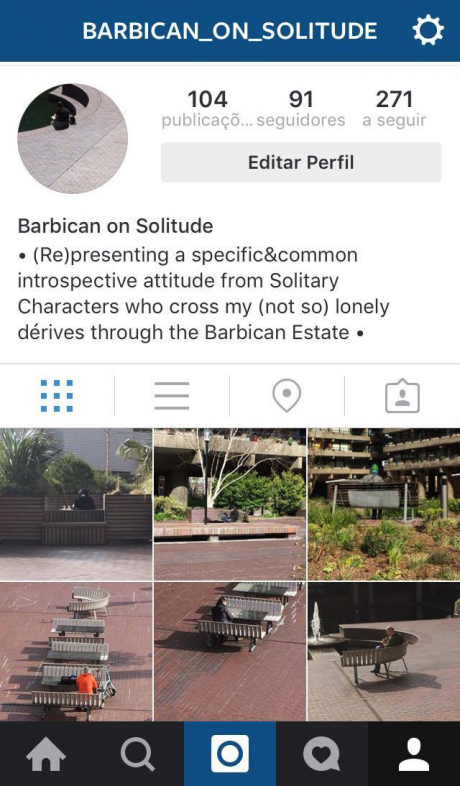 (@barbican_on_solitude 15  To see the archive of the ‘as found’ photos in the Barbican Estate, please visit @barbican_on_solitude on Instagram. ), allowing me to make them visible, public, and to allow them to be remembered, as Certeau argues: ‘Surveys of routes miss what was: the act itself of passing by. The operation of walking, wandering, or “window shopping”, that is, the activity of passers-by, is transformed into points that draw a totalizing and reversible line on the map. They allow us to grasp only a relic set in the nowhere of a surface of projection. Itself visible, it has the effect of making invisible the operation that made it possible. These fixations constitute procedures for forgetting.’ 16  De Certeau, The Practice of Everyday Life, op. cit. (note 5), p. 97. In practice, my personal walks were not an isolated process of solitude. It soon became apparent that I was just one more solitary character establishing the same behavioural pattern in the Barbican’s public space – I was just another person who was being reminded that at every moment of our daily lives, we come into contact with things and situations, occasionally even with the contents of our own consciousness. We can be more or less aware of all these forms – whether they are an animal, plant, person, memory or social system. 17  Shelley Sacks and Zumdick Wolfgang, Atlas of the Poetic Continent Pathways to Ecological Citizenship (Forest Row: Temple Lodge Publishing, 2014), p. 5. Walk(ing) through the Barbican Matrix. 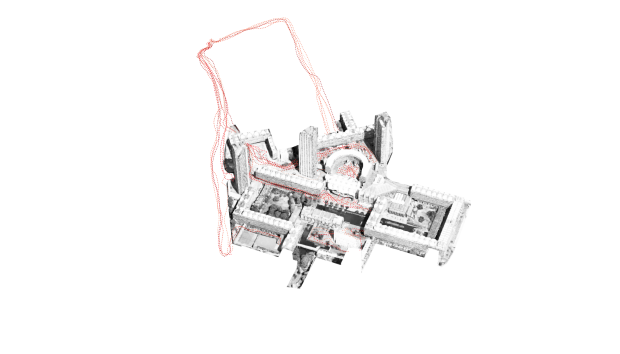 This matrix is the representation of the stalker/voyeurism process experimented in the Barbican´s public space from July 22, 2015 and October 16, 2015. 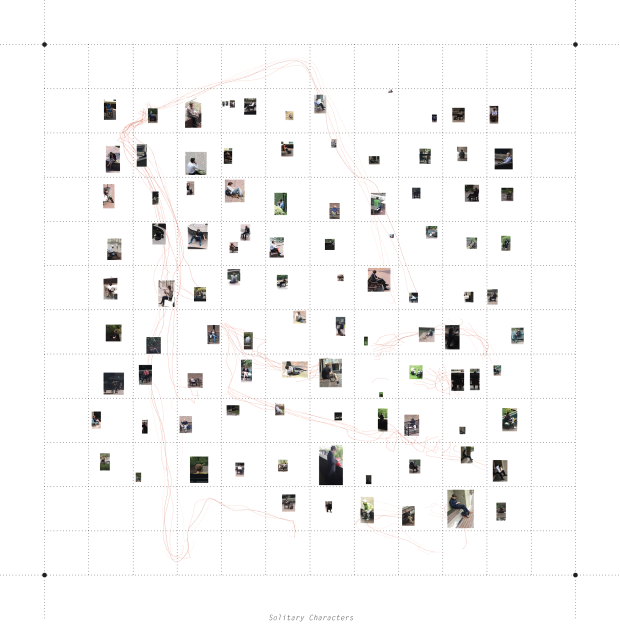 This matrix is organized in a chronological process by months, days, hours and itineraries, and represents all the Solitary Characters photos captured in the Barbican. Body and Place – This interconnection occurs when we learn how to see, by accepting openness, attraction and intuition, when we acknowledge how to be attentive or aware of what is beyond our own perceptions. Thinking and Doing – This interconnection happens when we glean, by digging in a place without overthinking it and by seeing beauty in the ordinary, the possibility of finding specificities and new discoveries in that place increases. Visible and Invisible – This interconnection arises when we map, by making visible what is apparently invisible, we value and acknowledge things. You and Me – This interconnection happens when we assume walking as a critical act. Specifically, an act that is not passive towards the social pattern found at the place, but critiques and questions the way in which (in this case) the Barbican’s users appropriate its public space, unfolding an open discussion over the absence of connection in-between the solitary characters and the passing-by(s). Here/Now and There/Then – This interconnection takes place when we take walking as a practice that crosses several scales and places over time. Walking is an everyday practice that can be applied here (at the Barbican), but also there (in other places or cities throughout the world). At the same time it can be applied now (at the Barbican), but also then (in other future situations). Place and Design – This interconnection happens when we take walking as a methodology, which is part of an anticipatory design 19  Cedric Price, ‘Anticipating the Unexpected’, in (London: Architects’ Journal, 5th September 1996), p. 27. process. The walking tools explained here can also be read as an approach that is attentive and sensitive to an urban problem discovered at the Barbican and which can be applied as a first step to learn how to read, select and interpret distinct problematic areas found in other places. In this sense, the architects and the social/creative agents can use walking as a sensitive and specific device to open new possibilities for future architectural and urban interventions. 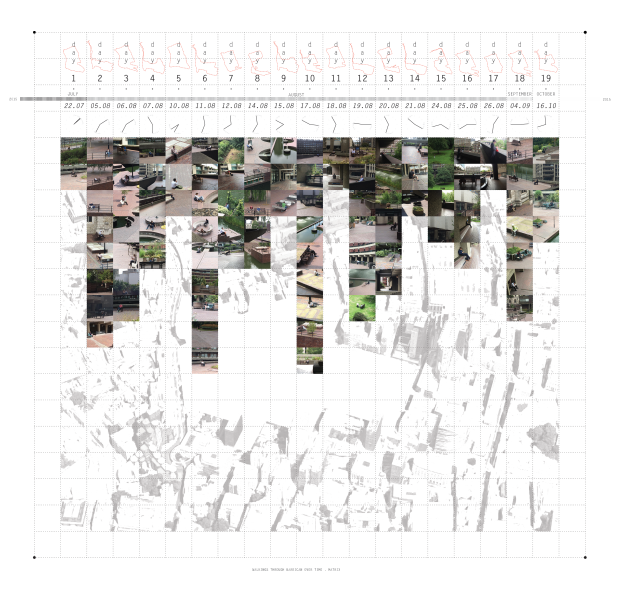 One example of an architectural practice that has been using walking as an anticipatory design methodology is the Italian collective Stalker. They have been developing a specific methodology of urban research in several places that are discarded from the cities around Europe, integrating walking into a diachronic process: firstly collecting data related to the marginal/abandoned site that is going to be walked; secondly performing the act of walking/gleaning towards the selected site, and thirdly producing an exhibition reflecting on the information found during the walk, which generates a debate around the strategies of creating reuse solutions for the investigated site. Stalker explores walking not only as a tool for mapping the places and its transformations, but also as a method of social engagement for collecting stories, sharing memories and connecting experiences, as architect Francesco Careri (one of the Stalker’s members) explains: ‘the aim is to indicate walking as an aesthetic tool capable of describing and modifying those metropolitan spaces that often have a nature still demanding comprehension, to be filled with meanings rather than designed and filled with things.’ 20 Francesco Careri, Walkscapes: Walking as an Aesthetic Practice, (Barcelona: Gustavo Gili, SA, 2002), p.26. Integrating walking into the conventional design process could make it possible to rethink new urban strategies that are focused in perceiving the complexity and the specificity inherent to places to create more open and flexible design possibilities.